Our android phone is a power packed device which can perform multiple tasks. 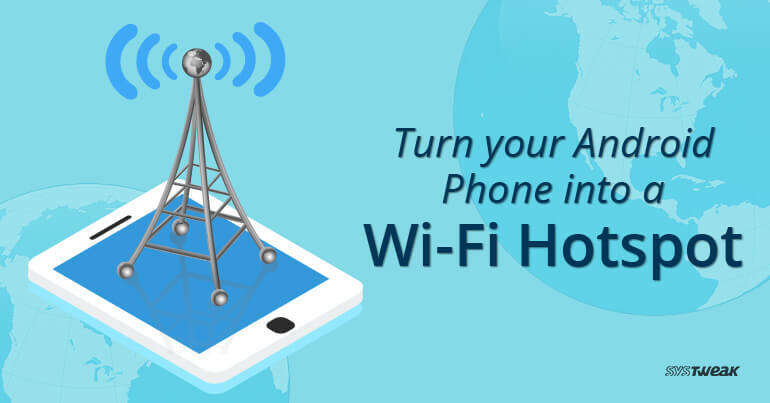 One of the features of the Android phone is the ability to turn into a portable Wi-Fi hotspot. So, in the unforeseen situation when you do not have a Wi-Fi connection and need Internet, use your Android as a Wi-Fi Hotspot. To convert a smartphone into a portable Wi-Fi Hotspot, follow these easy steps. Open Settings and click on More, placed below Data Usage. Tap on Tethering & mobile hotspot. In the list that opens, tap on Mobile Wi-Fi hotspot to turn in on. Once you enable Mobile Wi-Fi hotspot the notification tab will have a new symbol. The smartphone is ready to act as Wi-Fi hotspot device. To set a password click on Set up Wi-Fi hotspot just below Mobile Wi-Fi hotspot. Now, tap on Security and choose the security type “WPA2 PSK”. Type a password of your choice. Provide a unique name to the hotspot by typing in the Network name. Click on SAVE to set the password and name for it. Thus, every time you want to connect your laptop with portable hotspot you will need to enter the password which you have set. We recommend creating a strong password which should be a combination of uppercase, lowercase, numbers and special characters. So next time you forget to carry your data card with you, turn your smartphone into a Wi-Fi hotspot. Just remember to keep a tab on data usage.